Hannah's story began 20+ years ago with a passion for horses. She has owned and shown young and old, jumpers, halter horses, quarter horses, and everything in between. In college, she pursued a degree in Veterinary Technology, and has been working as a Licensed Veterinary Technician (LVT), for the last 8 years in a large and small animal practice. Having a degree in animal medicine has given her a good baseline for equine anatomy and phisiology as well as knowledge of diseases and conformational faults associated with horses. Most recently, she has studied massage therapy. 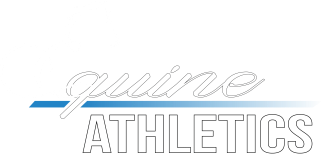 She received her Equine Sports Massage Therpist certificate (CESMT) through Brandenberg Massage Therapy, LLC. The summer of 2014 was spent working with and studying under Tanya Marsh, CESMT, owner of Free Motion Equine Massage. Hannah has also attended several lectures and workshops all over the country learning about everything from equine rehab in San Antonio Texas to myofacia release in southern Ohio. She has also passed the nutrition and equine business courses through My Horse University (United States Dressage Foundation accredited). Massage therapy started for Hannah as a means to help her own ride, "Gracie". Once she realized the positive changes in movement and behavior through routine massage therapy on her own horse, she knew she had to make massage therapy as a service to other horses. Massaging horses has become the passion of Hannah's profession. She is always striving to learn new things in books, seminars, and hands on with horses. She is currently seeking new clients in the West Michigan area. Feel free to contact her and see what she can do for you and your horse. Hannah Weber, LVT, CESMT, began a passion for horses 20 years ago. She has owned and shown young and old, jumpers, halter horses, quarter horses, and everything in between. In college, she pursued a degree in Veterinary Technology, and has been working as a Licensed Veterinary Technician (LVT) for the last 8 years in a large and small animal practice. Having a degree in animal medicine has given her a good baseline for equine anatomy and physiology as well as knowledge of diseases and conformational faults associated with horses. Most recently, she has studied massage therapy. She received her Equine Sports Massage Therapist certificate (CESMT) through Brandenberg Massage Therapy, LLC. The summer of 2014 was spent working with and studying under Tanya Marsh, CESMT, owner of Free Motion Equine Massage. Hannah has also attended several lectures and workshops all over the country learning about everything from equine rehab in San Antonio, Texas, to myofacia release in southern Ohio, to equine nutrition and acupressure lectures in Dallas, Texas. She has also completed the nutrition course and several equine business lectures through Michigan State University's Extension, My Horse University. Massage therapy started for Hannah as a means to help her own ride, Gracie. Once she realized the positive changes in movement and behavior through routine massage therapy on Gracie, she knew she had to make massage therapy as a service to other horses. *Please keep in mind massage does not replace veterinary care. Massage work is designed to work with veterinarians and other equine professionals to help heal and prevent injury.